Dear brothers and sisters, I address now the entire Fullness of our Church, all the peoples of historical Rus. There can be nothing more important for us today than the continuing fratricide which rages on the territory of the Ukraine, taking away ever more lives. What is happening today, primarily in the Donetsk and Lugansk regions, and how are the members of our Holy Church to think of what is happening? Internecine strife has now flared up in the southern regions of historical Rus. The results of this bloody conflict horrify one. There are no longer one hundred, as was the case in winter in Kiev, but many, many hundreds of people have died, there are thousands of wounded and left without a roof over their heads. Only the devil can celebrate victory when brothers come into conflict, destroying each other, inflicting wounds upon each other and weakening the vital strength of the people. And, of course, the Russian Orthodox Church, the Church of the spiritually indivisible Rus, cannot divide the one people of God according to political, national, social or any other principle. The Church fulfills her mission entrusted to her by the Lord Jesus Christ, and not the orders or commissions of any political forces. This is how she is different from certain religions by name but in essence secular organizations. Internecine strife has happened more than once in our history. It was this that led to the weakening of Kievan Rus and the collapse of alienated principalities under attack from Batu Khan, to the terrible Time of Troubles in the Russian state in the seventeenth century, to the monstrous in scale bloodshed and setting up for many years ahead of the godless regime at the beginning of the twentieth century. The lessons of history have also shown to us that internecine strife always engenders the threat of the submission of our Fatherland to external forces. As of old, now too before us arises in these instances the danger of the loss of true sovereignty of the people. Sovereignty which is expressed in the opportunity and ability to build one’s life on the foundation of the moral, spiritual and cultural values that together with divine grace were adopted by our ancestors in the font of Kiev at the Baptism of Rus, which were nurtured and assimilated throughout our many-centuries history. I appeal to all within whose power it is to take decisions: stop the bloodshed at once, enter into real negotiations for peace and justice. There can be no victors in internecine strife, there can be no political advantages which are more precious than the lives of people. Concerning the Church, then her weapon and shield is prayer and the Word of God, which ‘is quick, and powerful, and sharper than any two edged sword’ (Heb. 4:12). I call upon all the children of the Russian Orthodox Church to strengthen their prayers and to keep ever more strictly the recently begun Apostles’ Fast. I especially call upon the monastic houses: pray now to the Lord as our pious ancestors knew how to pray during the terrible times of upheaval; as the heroic founders of Russian monasticism Ss. Anthony and Theodosius implored the heavenly Father during internecine strife; as the reconciler of the Russian Lands St. Sergius of Radonezh prayed for an end to the hateful divisions of this world; as St. Tikhon, Patriarch of All Russia, and the holy martyr Metropolitan Vladimir of Kiev called upon the Lord during the days of bloody chaos and civil war. May there now in all our churches be offered unceasingly a special prayer for peace and the overcoming of internecine strife, the text of which I have today blessed for use. ‘And the very God of peace sanctify you wholly; and I pray God your whole spirit and soul and body be preserved blameless’ (1 Thess. 5:23). 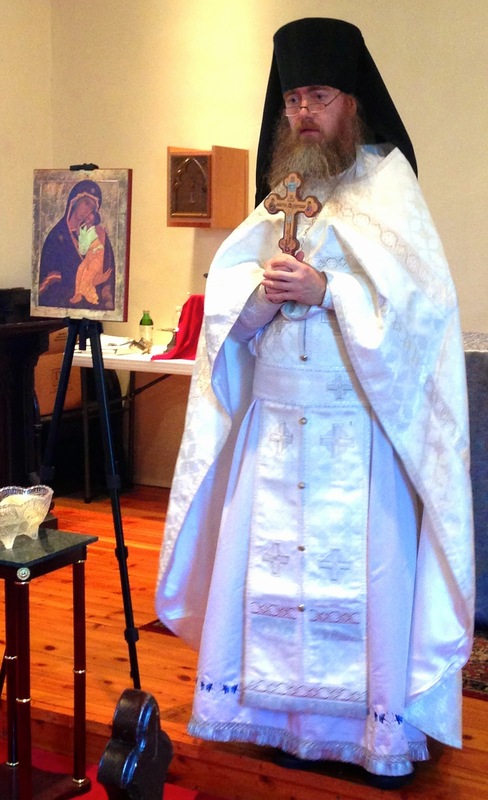 Father Alexander is planning to be back in Brimfield/Peoria for the Feast of Ss. 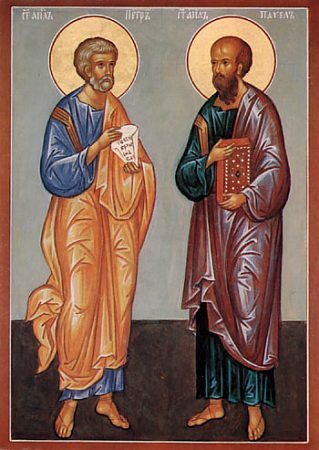 Peter and Paul and the following 5th Sunday after Pentecost commemorating also his new patron saint, Holy Martyr Alexander Schmorell. 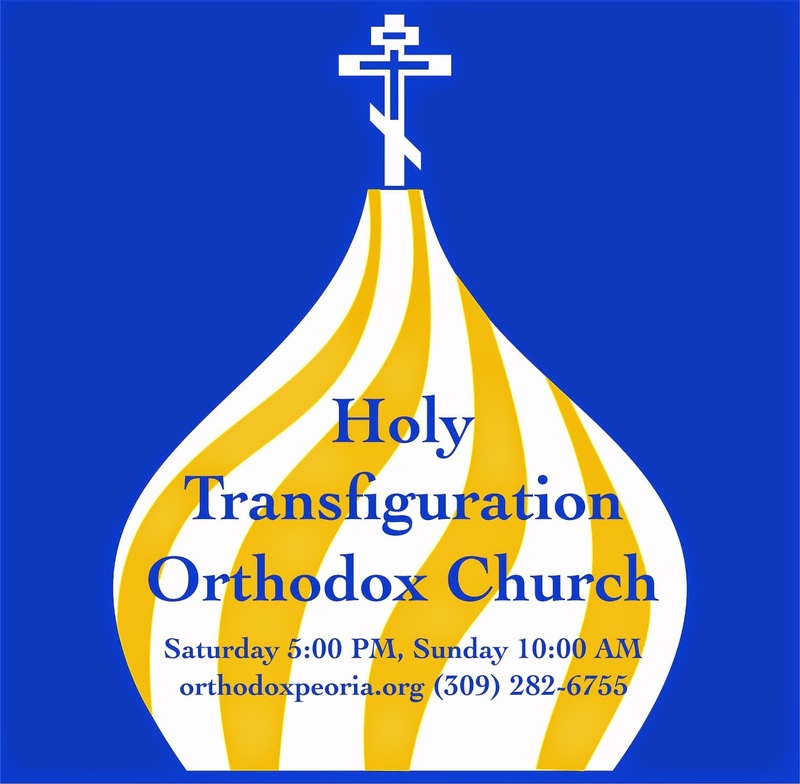 We plan to serve with him Vigil and Divine Liturgy for both days. Please refer to our calendar page for any changes. We look forward to serving with our rector once again. All are encouraged to come and join us. 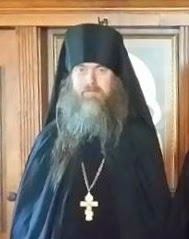 Our rector priest (formerly known as Hieromonk Innokenty) has just received tonsure as a stavrophore monk. 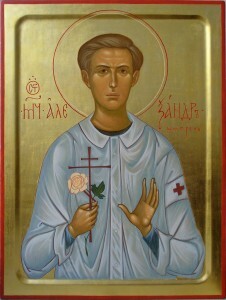 In doing so he has received the name "Alexander" for the Holy Martyr Alexander Schmorell. Click here for more information on monastic ranks in the Orthodox Church. Please see our general appeal by clicking the "Appeal" tab above or this link.